Contest: Win a brunch makeover with Maille! 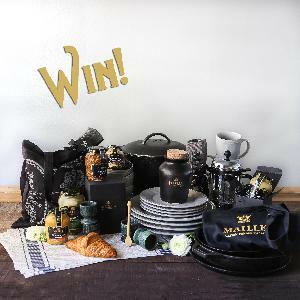 Win a brunch makeover with Maille! Prize: Win a 5-piece cast iron set, 16-Piece Rachael Ray Dinnerware set and 6 Maille flavors including Black Truffle Mustard + much more!